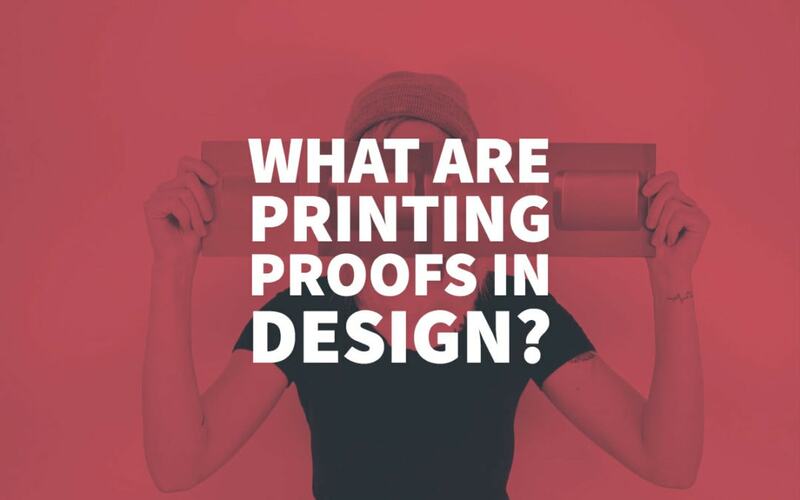 What Are Printing Proofs in Design? First of all, most of you may understand the term ‘proofing’ however many would be wondering what proofing actually is. Within the education sector, you would recognise this as “proofreading”, reading your work to find any possible errors as part of your draft or final copy. Once you have proofed your work, you would be ready to present it or hand it in as you are confident that your work is free of errors. Graphic Designers in the creative industry create artwork based on or around your branding, your ideas or your competitors. Either way, once they have a concept, they send the drafts to the originator to get proofed to remove any errors in imaging, content or copyright. Designers are trained to come up with lots of good creative imaging and content! Designers do also have a creative mindset, allowing them to come up with concepts and ideas specific to their personal experience or interests. A good designer will have a fantastic ability to come up with concepts from any angle. Their training is however specific to the creation and application of ideas, they are not part of the “arts” and not necessarily trained in “language” or “academia”. Many designers do have a lot of good ideas related to creativity however copyrighting, grammar, English and spelling are not their forte, and they rely on you or a member of their team to proof their work too. Due to this reliance, the creative industry hires content writers and copyrighters as their creativity is with language, not artwork, design or imaging. These professionals ensure that their content adds the wow factor in their marketing but also provides that it be grammatically correct and captures the essences of its audience. Suppose, you want to make a pull-up banner. A creative studio will employ some professionals to complete a marketing campaign and will focus on colours, designs, legality, content, text, grammar, copyright and more. These departments and professionals do not, however, know or understand the printing industry where artwork created merely gets printed. 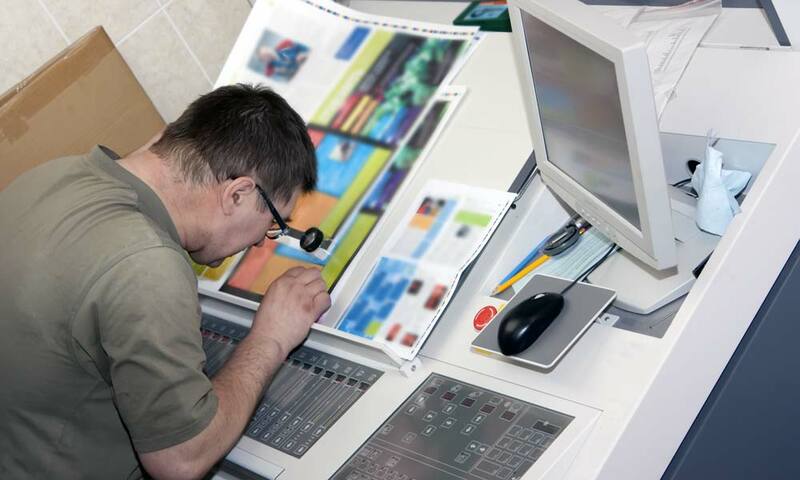 There is a whole new step in the process which is specific to the print design professionals: Prepress Proofing. Once your artwork is ready (Or you think it is ready), depending on where you send it, they will require a different method to make the artwork “Print Ready”. All these factors affect the way a file should be set up and 99 times out of a 100, the designer has no clue and also could not care less as that is a technical and not a creative element. At this stage, the printer will provide you with information to give to your designer to make the files print ready! Again, 99 times out 100, the designer will tell you that it is not their problem or it is not their skill set because it is a “printer” issue or they will tell you that it is an extra fee to do that. The printer generally can do the prepress proofing on your designs and will do them if the artwork has sufficient properties to be made print ready! Printers certainly do not have to do this for free as some designs can take hours to make print ready, especially if you are not the “original” designer working on the artwork. As designers all have their own identity, their quirks, their way to build artwork, making a file print ready takes a whole lot of skills in understanding how to dissect a file to ensure it prints to expected levels. Fact is, when a printer is supplied with a file that is correctly set up and has no issues at all, the data should be able to be used and sent straight to print for processing. Printing proofs (soft or hard copies) would be raised to show that what you have supplied as a file is also what is being printed. When doing large runs of a particular type of print or multiple kinds of copies in a campaign, it is always recommended to organise a hard set of printing proofs. A costly and time precious exercise however well worth it in the event there is an error in colour, imaging, content, text or copyright. Hard Proofing can save you thousands as proofing is your last step in the process to ensure everything is 100% correct and to specifications. If the printer is supplied with a file that is not correctly set up or has issues with it, the data will generally be rejected or manipulated to be print ready! If there is manipulation required, printing proofs will always be provided to show what has been changed but more so to confirm that what is being printed matches what the customer needs or expects. This prepress proofing process is in the control of the customer as the printer cannot be held responsible for any errors once it is approved to go to print. The customer is 100% responsible for the approval to go to print and needs to be 100% accountable for their art. Some printers also do have design studios Internally! This means that you can go to your local printer and get all your design, print, finishing and distribution from the one place. Ultimately, in this scenario, prepress proofing is even more critical however remains the responsibility of the client to proof and approve. Proofing is pretty simple: Pick up errors. Well, it is not as easy as that! You cannot just glance at a design and quickly provide an authority to print. If you do, and there is an error, it is the customer’s responsibility because they did not take care and time to proof the “print ready artwork properly”. If you do not take care and follow simple steps to ensure your design is error-free, and you find an error after the plan has been pushed to production, it is then your responsibility and at your cost to reprint if you choose to reproduce. First of all, request a High-Resolution PDF to ensure that the file is as accurate as possible. This is also called a Digital Proof. Step 4: Check for non-print information such as die lines, fold lines, printers’ marks, drilled holes, etc. Step 5: If you are entirely satisfied everything marries up then you can give your authority to print to your printer. If you are >1% unsure, then ask for a Hard Proof so that the printer can produce a single sample so that you can hold it in your hand, share it with others, play with it and make sure that you are purchasing what you expected. Step 6: Reject or Approve. Not proofing can be very expensive because it is not everyone else’s issue, it is yours as the customer as you are the one approving the process to continue and your products to get printed. Too many times we hear of customers wanting their money back, not wanting to pay for a job because they approved the job and the proof without actually proofing correctly. This scenario is not fair on the printer, and this also jeopardises the relationship between all parties concerned. Overall, do your print proofing steps carefully, and you will not feel the brunt of the cost of a reprint. 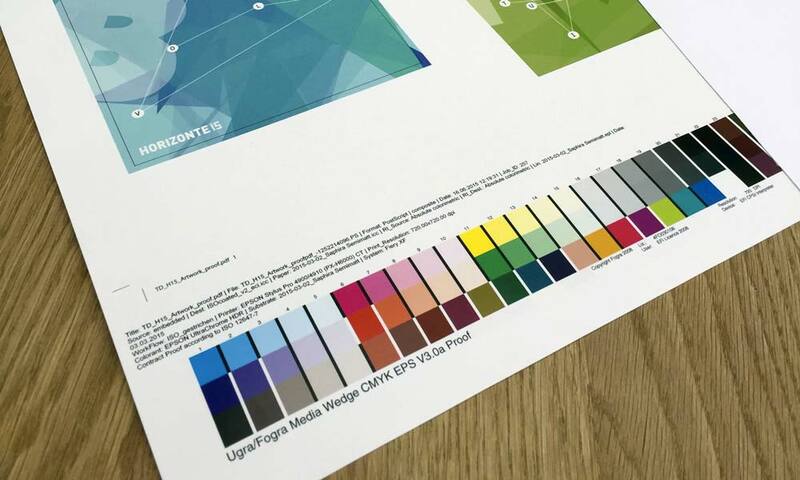 In today’s world, there are a lot of resources available online, and more often than not, the printers generally provide enough information for customers or designers to understand how critical printing proofs are. Printers have spent hundreds of thousands, if not millions in getting their terms and conditions of business approved and solicited to have cover related to deficient practices in proofing. 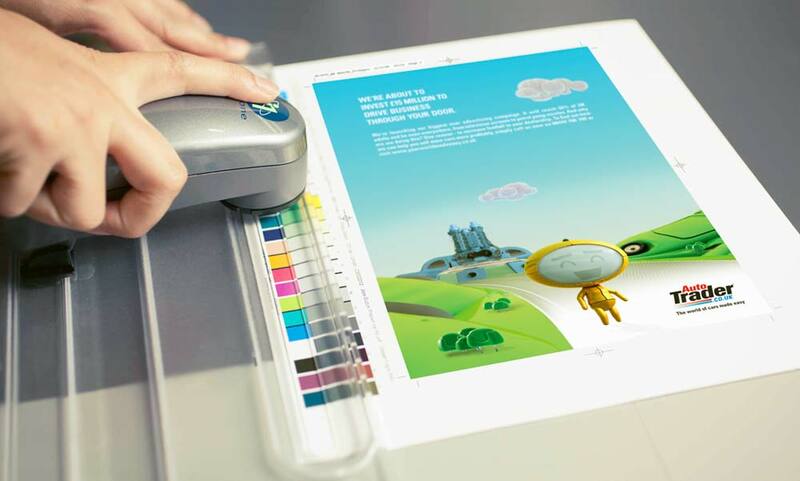 Some of the leading design software packages and online design tools have also got access to hundreds of documents and teaching aids related to printing proofs. As a customer or a design agency, you should always read the terms of business associated with the proofing step as they are critical to any campaign, small or large. One such company is Adobe. Their entire platform was built around the Design and Creative Industry. They have everything from Forums, to YouTube Videos, to resource centres, Questions & Answers as well as Live Chat. Their resources are impeccable and easily accessed. The Creative Industry has not changed in a long time, but the way the information is accessed is now available by anyone in the industry. Not only is it accurate but it is also relevant. If you want more information about prepress proofing, visit www.adobe.com and follow the HELP links or SEARCH Functions to access their immense library of resources.